The Department of Justice will not retry former Virginia Gov. Bob McDonnell after the Supreme Court overturned his corruption conviction, sources say. Prosecutors indicated in court filings they do not want to pursue a second trial against the couple, a move that comes after the U.S. Supreme Court overturned McDonnell's previous corruption convictions this summer. The decision ends a years-long legal saga for the former governor and once-rising Republican star, who was convicted in 2014 of violating federal bribery law by accepting luxury gifts and loans from a wealthy businessman in exchange for promoting his dietary supplement. McDonnell and his wife, Maureen, were convicted of doing illegal favors for wealthy vitamin executive Jonnie Williams in exchange for more than $165,000 in gifts and loans. But the high court unanimously held in June that McDonnell's actions were distasteful but didn't necessarily violate federal bribery laws. At issue in McDonnell's case was a federal bribery law that makes it illegal for a public official to agree to take ``official action'' in exchange for money, gifts and other things of value. Several state lawmakers and members of Virginia's congressional delegation had urged Attorney General Loretta Lynch not to retry McDonnell, arguing that he and his family have suffered enough. Democratic Gov. Terry McAuliffe has also questioned the need for another case. "Today is a great day in which my family and I rejoice. More than 3 1/2 years after learning of an investigation, the final day of vindication has arrived. I have deep gratitude to the justices of the United States Supreme Court for their unanimous June reversal of the convictions. Today, I express my appreciation to the US Department of Justice for applying the correct rule of law articulated by the Supreme Court, and asking for these cases to be dismissed. I thank them for doing justice for me, my family, my friends, my Commonwealth and its servants, and for all those involved in the democratic process. "Throughout this ordeal I have strongly proclaimed my innocence. I would never do, nor consider doing, anything that would violate the trust of the citizens of Virginia I served during 22 years in state elected office. These wrongful convictions were based on a false narrative and incorrect law. "Forty-three months ago I was a heartbroken man. I struggled to daily summon the strength to perform my cherished final months of duties as Governor, being accused by my country of committing crimes of which I knew I was innocent. I have learned to be patient, to trust and wait upon the Lord, and to live each day being content with His Daily Bread. "I have become grateful for this experience of suffering, having used it to examine deeply all aspects of my life, and my role in the circumstances that led to this painful time for my beloved family and Commonwealth. I am thankful to God for teaching me new lessons about His grace, mercy, and providence. "I have begun to consider how I might repurpose my life for further service to my fellow man outside of elected office. Polls and politics no longer seem that important. People and policies are. "We have the finest law enforcement officers and best justice system in the world in the United States of America. It usually gets it right in the end. "I cannot thank deeply enough those who steadfastly supported my family and me through this long walk through the dark valley. I was blessed with a faithful and competent legal team, who advocated my cause zealously at every step, committed to prevailing. I was astonished by the remarkable bipartisan amicus brief support we received from a broad cross section of American leaders who saw the injustice. Virginians and people across the country, both friends and strangers, showered me with expressions of love and encouragement. I have learned that the words “amazing grace” and “supernatural peace” are the essence of God's unfailing love for his people. "I know not fully what the future holds as I enter the “fourth quarter” of life. I do know it will be a wonderful adventure, beginning with 4 blessed new grandchildren, a new small business, countless new friends, and multiple new ministry opportunities." "We have said from the very first day that Bob McDonnell is an innocent man. After a long ordeal traversing the entire legal system, that truth has finally prevailed. We are thrilled Governor McDonnell can finally move on from the nightmare of the last three years and begin rebuilding his life. 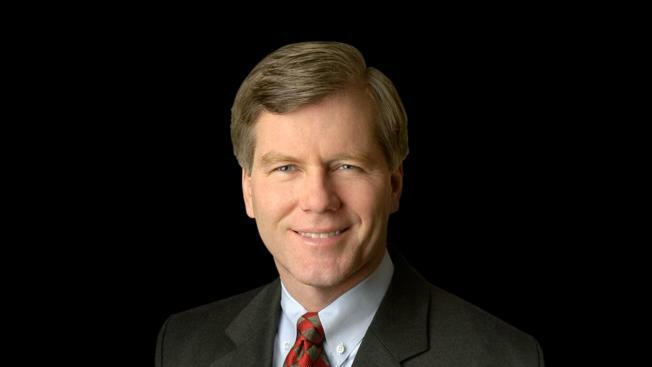 We are also grateful for the decision of the Department of Justice to decline to re-prosecute Governor McDonnell following the Supreme Court’s June ruling. We believe that the Department brought this case in good faith based on its view of the law as it existed at the time. We applaud the Department’s recognition that the interests of justice are now best served by bringing this case to a close."